PADI IDC Phuket: learn to scuba dive in Phuket with the PADI Open Water Diver Course or PADI Scuba Diver Course. You can even just try diving with PADI Discover Scuba Diving experience. Become a more qualified diver by taking PADI Continuing Education Courses in Phuket, including the PADI Advanced Open Water, PADI Rescue Diver and PADI Specialty Diver courses. Become a PADI Dive Pro by enrolling in the PADI Divemaster course on Phuket. 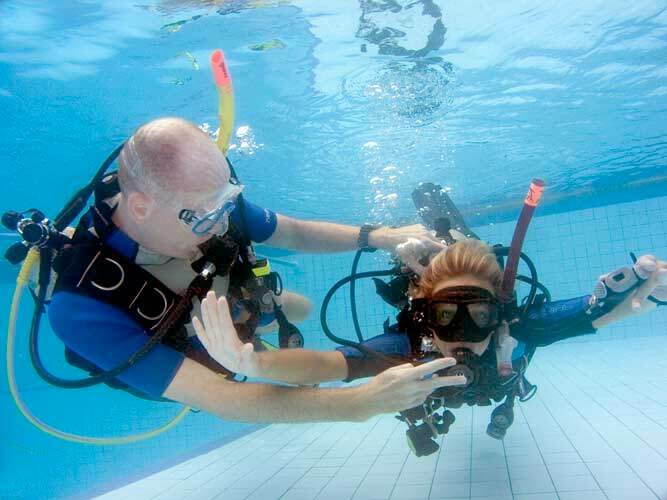 Or learn to teach others to dive by taking the PADI IDC and becoming a PADI Instructor. 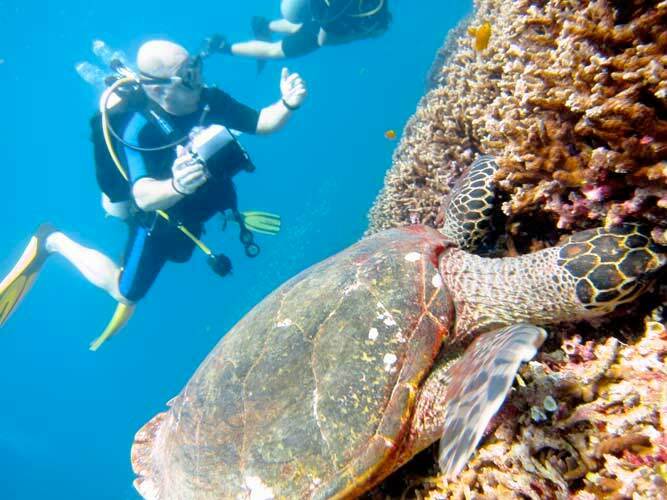 Experience the best Phuket scuba diving by going on Phuket dive trips to our local dive sites. These include Koh Phi Phi in addition to The Racha Islands, Shark Point & Anemone Reef. Dive Tours &Trips are available for certified divers & snorkelers. Join the Team at Indepth Dive Centre PADI 5* IDC & TecRec Centre S-36108 (PADI IDC Phuket) for some of Phuket’s best scuba diving. Phuket is famous world-over, not only for its idyllic white sand beaches and night life, but also its diverse and spectacular dive sites. Hence Phuket is a very popular destination with divers flocking to these shores from every imaginable corner of the world. We offer you a wide selection of Phuket Dive Trips & Tours with differing daily intinaries. Consequently we can put you on the best Phuket dive sites ANY DAY of the week, EVERY MONTH of the year. Indepth works with a select number of Thailand Liveaboard operators running Liveaboard Safaris trips to the famous Similan & Surin Islands. And in addition, several schedule Liveaboard trips to Burma / Myanmar. Thailand Liveaboards run from the first week of October until the end of May. We are proud to also be able to offer PADI Rebreather Diver Courses from beginner through to PADI Rebreather Instructor. 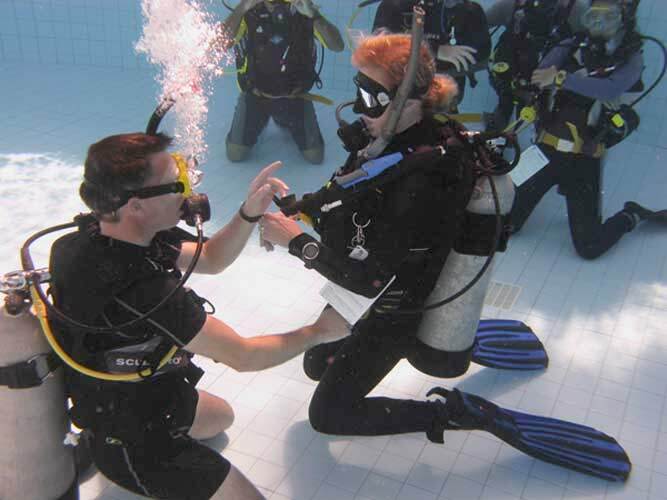 As well as PADI Technical Diving Courses from Intro Tec through to PADI Trimix Instructor. Moreover, Indepth also offers suitably certified divers Technical Diving and Rebreather Dive Trips. PADI IDC Phuket: PADI Go Pro Instructor and Divemaster Internships Packages. Indepth Dive Centre is a PADI 5* Instructor Development Centre (IDC) & TecRec Centre, thus Indepth offers you the best scuba diving instruction and training. So if you are interested in becoming a PADI Divemaster or PADI Instructor, then we are probably what you have been looking for. Our PADI Course Director Chris Owen has been running monthly PADI IDC courses for over 17 years on Phuket and Phi Phi. In fact teaching PADI IDCs continues to be one of his most enjoyable courses to teach. This is In addition to his PADI Poseidon Rebreather Courses of course. We also offer a variety of PADI Scuba Diving Internships to get to the PADI Dive Pro levels. PADI IDC Phuket Internship packages are available for those who have never dived, as well as for those who are already certified divers. 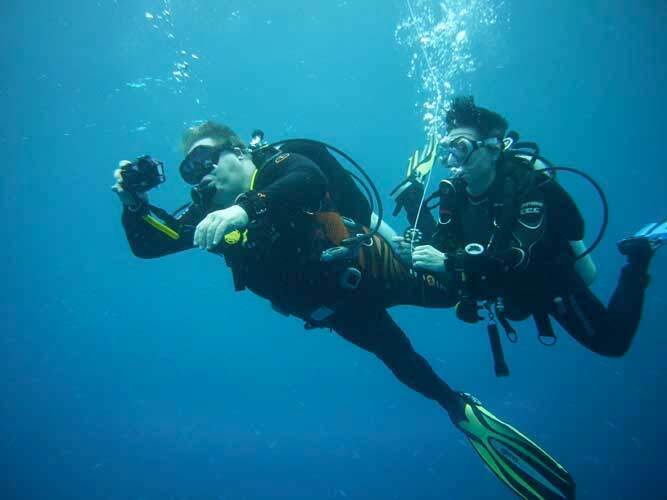 Whether you are a PADI Open Water Diver, PADI Advanced Diver, PADI Rescue Diver or a PADI Divemaster; we have a Go Pro Dive package to suit you. Since 1999 Chris has taught over 160 PADI IDCs on Phuket and Phi Phi and certified well over 1,500 PADI Instructors to varying levels, with an unequalled First IE Pass Rate! Join Chris for the most dynamic, fun, updated to the minute PADI IDC Instructor Development Course Phuket, Phi Phi, Ko Lanta or Khao Lak have to offer. Are you thinking of hanging up your suit and tie, leaving the office behind and reaching for your wetsuit, suntan lotion and towel? Or are you are leaving college and eager to leap into the excitement and adventure of the underwater world? Do your interests lie in working as a land based PADI instructor or Divemaster? Or maybe as a PADI Instructor on a luxury class Liveaboard diving world famous sites? Are you thinking of getting work as a Dive Resort employee? Would you like to work in the tropics in Dive Retail or Sales? Are you thinking about becoming a Dive Centre or Dive Resort Manager, or even opening up your own PADI Dive Resort? Would you like to learn more about, and become more involved, in Underwater Photography, Marine Biology or Conservation? Likewise, how about as an Underwater Videographer, Marine Journalism or a Dive Travel Specialist? Does new technology like Rebreather Diving, Technical Diving, Scientific and/or Research Diving interest you? Wherever your personal interests lie: there is no better starting point or building block than that of a PADI Diving Instructor! It is to prepare you for a successful career in this infinite underwater world of opportunity, excitement and adventure that Chris’ Indepth PADI IDC Phuket & PADI Diving Internships / Career Development Packages have been designed. We wish you the very best in your future career! 3 day IDC Prep including PADI EANx Diver & Oxygen Provider Courses. Purpose built and designed Dive Centre and Dive Shop. Purpose built 5m & 3m deep scuba diving training pools. 10 days of Thai Buffet Style lunch. Computerized classrooms with full multimedia support: including LCD Projectors, speakers in the ceiling, desktop computers etc. IDC Candidate Social area with full size fridge, coffee, tea, hot chocolate, drinking water and so on. Complementary onsite WiFi and internet access. Access to Training Centre 24 hrs / day for evening or afternoon study. Extra in-water workshops: CESA, Surface Skills, Pocket Mask Rescue workshop. Lifetime VIP Discount card: up to 30% off PADI materials. VIP Life Time Discount card: 10-20% off all dive equipment purchases. Life Time VIP Discount card: 15% off Phuket Day Trips & Liveaboards. Full support during your PADI Instructor Examination. Full range of Instructor Continuing Education directly following IE: including Tec & Rebreathers. Phuket daily news, events, jobs, classifieds, yellow pages, TV Phuket Gazette: Phuket’s English-language newspaper, with daily news, events, classifieds, advice for expat residents, and comprehensive business directory – hotels, resorts, restaurants, golf, diving, property….